ON THE FLOOR: "I want what we do to be a clear blueprint for the next generation," notes the reggae veteran/show promoter, pictured below with Burt Herrin at The Essence. Seated behind an expensive-looking desk in a spacious, nicely done-up office at 56 Ken Hill Drive, Pembroke Hall, is where you'll find Tony Rebel on any given day, provided that he's not overseas on business, on the road doing promotional runs for Rebel Salute, or holed up in the studio recording and writing tracks for himself and other artistes. Yes, work keeps him superbusy, and it's just terrific, one can imagine, to be able to retreat to a cozy and inviting office likes this, the walls lined with platinum and gold plaques, artwork and photographs depicting the veteran musician alongside such notable names as Harry Belafonte, Sly Dunbar and former Governor-General Sir Howard Cooke, who made him a Member of the Order of Distinction in 2002. Shiny trophies and statuettes, testament to an illustrious career, gleam from within crystal cases, the day's newspapers are close by. And then there are the books: stacks of conscious/meditative tomes and his current pick, Nelson Mandela's Long Walk to Freedom, which he keeps by his desk next to a tiny Webster's dictionary. It was here that TALLAWAH sat down with the stalwart reggae artiste (né Patrick Barrett) on Thursday of this week to chat about art and life, what keeps him going, the megasuccess that Rebel Salute has become, and what's up next. Read on for excerpts from our hour-long conversation. 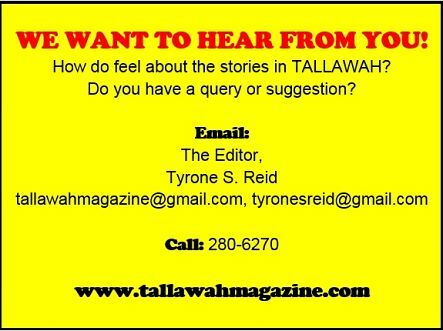 TALLAWAH: As a living legend, what do you make of the radical shifts reggae has been going through on its evolutionary course since your heyday? Tony Rebel: I don't think now is really any different from back then. From time to time you see a new wave of young artistes taking over and a lot of them live externally, and they do well on the Billboard charts and get nominated for the Reggae Grammy. But [reggae] is still an authentic Jamaican product, and the world seems to love it. The demand for the music seems to be greater than ever. So, for me, it's still a great stride, but the music will always belong to Jamaica and people have to pay homage and show respect for that. TALLAWAH: Rebel Salute is turning 22 this year. That's a remarkable achievement by any standard. How has Flames Productions managed to keep the production going after all these years? T.R. : It's been a rough road, knowing that in Jamaica venues are scarce and corporate support for putting on big shows likes these is scarce. So we have to give thanks to people like the Jamaica Tourist Board and other sponsors, who are always there for us. Financially, it's been a struggle but because of the need for real authentic reggae shows of this kind, we know we have to keep it going. You hope you can make money from it, but that has been difficult because nothing that is good comes easy. So we give thanks to all the fans from here and overseas who make the pilgrimage every year. TALLAWAH: They say Jamaicans don't buy albums anymore, and as a result, reggae artistes are increasingly shying away from putting out major records like they used to. Does that argument hold up for you? T.R. : That's not just a Jamaican thing, it's something that's happening all over the world. Because of technological advances, people can always download music online. So if they don't need to buy it, they won't buy it. But real fans will purchase albums to support their artistes. TALLAWAH: As for your own recording career, you don't seem to release new material as often as you used to. T.R. : I'm always working on new songs, but the terrain for promotion is different nowadays. If you go on YouTube you will see the new stuff, and I have an album that's coming out this year. Jamaica is a breeding ground for new artistes, so when you release new material you want to make sure it hits, it connects. We record on the regular, but we put out when we need to put out. Sometimes less means more, but we're always there. We release not sporadically, but based on demand. TALLAWAH: What goes through your mind when you hear your classic reggae anthems like "Sweet Jamdung/Sweet Jamaica" being played now? T.R. : It's always playing whenever I go through the airport (Laughs). What goes through my mind? That it was good that I did songs that can be as perennial as the grass. So I use that to encourage [upcoming artistes] and let them know that you can do songs that will stand the test of time. Not just a flavour-of-the-month kinda thing; but have longevity. 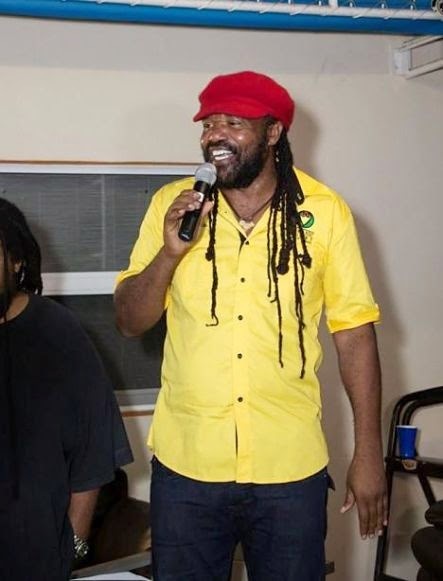 TALLAWAH: Who ranks among Tony Rebel's Top 5 reggae artistes of all time? T.R. : (Laughs) I pass on that. I respect too many to just pick five. When I was coming up, I listened to loads of Bob Marley, Peter Tosh, Jimmy Cliff, U-Roy and Stevie Wonder, even though he is not a reggae artiste. Dennis Brown, Gregory Isaacs... And now I listen to all the youths dem. I listen nuff calypso. Sparrow, David Rudder. I listen to R&B, funk. Stevie Wonder will always be a favourite of mine. TALLAWAH: So with two decades already under the belt, what will Rebel Saute be like in ten years' time? How will the show evolve moving forward? T.R. : I hope that it continues to be a place where reggae music lovers from all over the world come to celebrate the beginning of another year. People come for the camaraderie, the inspiration, the motivation and all the indigenous Jamaican things. Good, quality entertainment. For the show next week, we want it to run smoothly and leave the patrons satisfied. We want everything to be just peaceful and great. TALLAWAH: From chart-topping success to fatherhood to first-class show production, you've achieved quite a lot in your five decades on the planet. What's now left for you to accomplish? T.R. : Right now my focus is on augmenting what I already have and taking them to a certain level that makes them self-sustainable without my input. And as a result, you create a legacy for the next generation and hopefully history will remember these achievements. I want what we do to be a clear blueprint for the next generation. TALLAWAH: You're turning 53 in exactly one week! Reflecting on your personal journey in this instant, what leaps to mind? T.R. : I've had a dynamic life. I'm from the country, so life wasn't always easy. But I got a chance to come to Kingston and make a success out of myself, go to America and get signed to Columbia Records and work with big names like Queen Latifah. When I think about my life it feels good. I have to give thanks for it. All aspects of it. Because if any part was bad, it was a lesson. Life is that endless cycle of change that I appreciate. > Go to rebelsalutejamaica.com for more on this year's festival (Jan. 16 and 17), to purchase tickets, and see the complete performance lineup.